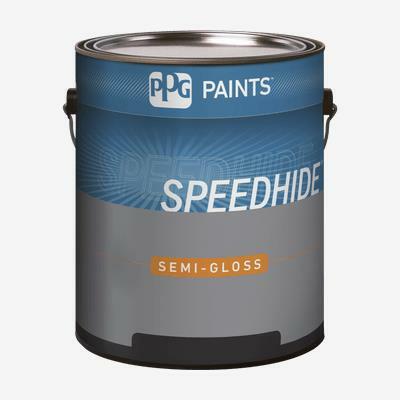 SPEEDHIDE® Interior High Lustre Latex is our best professional interior high lustre latex formulated to meet the performance requirements of professional applicators. SPEEDHIDE® Interior High Lustre Latex provides a smooth, high-lustre finish to interior walls, ceilings, and trim in any room, even where moisture is present. With its excellent block resistance and great washability, this product is recommended for use on countertops, shelves and for dirt and grease-prone areas where frequent washings with mild, nonabrasive household cleaners is required.